A Painting and Decorating business in Luton from a professional with over 40 years' experience. Covering Luton, St Albans and Harpenden. 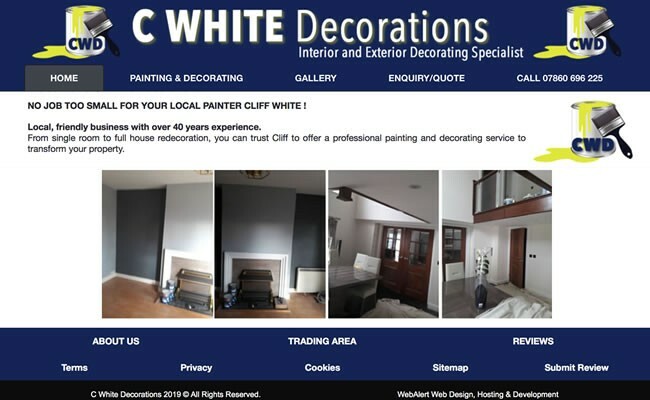 From single room to full house redecoration, C White Decorations offer a professional painting and decorating service to transform your property. The project involved creating a company profile website to replace a Yell.com hosted website. Search engine friendly format and offering ongoing SEO maintenance. Website updated to a fully mobile compliant responsive website, with content management system.